After organizing and leading an MCAT summer prep program for five years with the UC Davis School of Medicine Postbaccalaureate Program, I worked with Kaplan and Princeton Review extensively. Those two companies were our best MCAT prep options at the time. The Berkeley Review wasn’t able to support programs outside of the bay area during the years that we considered working with them. When our students used Kaplan to prepare, their practice test scores were inflated and most students were disappointed with their actual scores. However, with the Princeton Review, the practice tests were so difficult that the students’ practice scores were actually lower than what they earned on the MCAT, so many students ended up working harder and earning better scores. Even though Kaplan had a better online testing system that could customize the practice tests for individual students, Princeton Review seemed to deliver better results since their focus was more on content than test taking strategy, which better fit our students’ needs. In the past, I have recommended that students choose the test prep company that offered the services that better met their needs, for test taking strategy—Kaplan and for content review—Princeton Review. With the new MCAT format, new MCAT prep options are emerging! Next Step Test Prep is one of these companies, offering the latest and greatest test prep tutors, printed and online study materials. In this review, I will focus on their online course. The day I registered for the course, I received sixteen emails! Each email contains access and ebook codes for each of the materials, separately. Each subject has a different code. It was overwhelming at first when confronted with so many different pieces of information. The number of emails did make me wish for a central site with one username and password to access all the materials from one interface. I would recommend that the company consider creating one location for all materials to create a smoother introduction to their program and increase ease of use. Once I located the email with the online course access information, I registered. But a couple of days later, I had to reset my password. When I called their help line, I was quickly connected to a human being after dialing a number to identify the reason for my call. The lady who helped me was patient and friendly. If you are planning on using Next Step Test Prep, give yourself some time just to get situated, to download all ebooks, and to get the process started. They have beautifully designed materials but they’re all accessed separately using the codes provided. The ebooks are simply electronic versions of the books that you receive through snail mail. Technically, you could skip the step of downloading the ebooks if you prefer to study with actual books. “My favorite part is that Next Step generates a very detailed and structured plan. My biggest struggle was figuring out where to even begin. Next Step not only creates a simple day by day plan but it’s so easy to use and track your progress along the way. A huge plus is that you also get access to AAMC resources which are very important.” —A.M.L. Their online course is designed to fit your needs within your time limit. It is unique in that it provides this kind of individualized direction from the very beginning. I was impressed by how easy the site is to use. There are seven tabs at the top of the page, including: dashboard, study plan, resources, AAMC resources, scores, office hours and forum. The dashboard displays your study plan for the month and includes reminders for office hours. The study plan tab allows you to view your long-term study plan. The resources tab takes you to the online course material. The AAMC resources are accessible from this tab at the top of the page but also through the resources tab. Office hours includes a selection of recorded office hours for various topics. The forum looks similar to Student Doctor Network, where you can post questions on different topics. The most useful one is the “Resources” tab. Under this tab, you will see a menu on the left of the screen with these options: MCAT Class Videos, Books, Full Length Exams, MCAT Diagnostic and Science Diagnostic, QBanks, Content Review Videos, Test and Strategy Review Videos, Section Exams, AAMC Resources and Office Hours Recordings. “The videos were very helpful and to the point. They were not too long which allowed me to cover several concepts in a short period of time and as a pre-med, time is essential. The structure of the individual plan is easy to follow and tracks my progress along the way.” —S.S. In addition to the online courses and supplementary materials, taught by people with impressive scores and credentials, you are paired with a tutor who works with you individually. There are lots of ways for students to access additional support through this program, like live group office hours and the forum. It seems to be the only MCAT prep option without compromises. Unlike Kaplan or Princeton Review, it provides support in test taking skills with an advanced testing system that looks just like the AAMC MCAT and covers content with lots of different levels and layers of additional information and assistance. It almost makes me want to take the MCAT—especially considering the price—far below all major competitors! Click here to check out the Next Step Test Prep online MCAT prep course! If you have taken the MCAT after using NSTP Online to prepare, please comment below. Were you happy with your final MCAT score? Did using NSTP prepare you well? Was there any feedback you’d like to share about studying with this program? Alicia McNease Nimonkar is an Accepted advisor and editor specializing in healthcare admissions. Prior to joining Accepted, Alicia worked for five years as Student Advisor at UC Davis’ postbac program where she both evaluated applications and advised students applying successfully to med school and related programs. 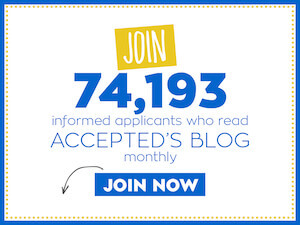 Want Alicia to help get you accepted? Click here to get in touch! • When Should I Take the MCAT? Last updated on May 18, 2018.